A GOVERNMENT agency has acknowledged for the first time that people can suffer nausea, headaches and muscle pains when exposed to electromagnetic fields from mobile phones, electricity pylons and computer screens. The condition known as electrosensitivity, a heightened reaction to electrical energy, will be recognised as a physical impairment. A report by the Health Protection Agency (HPA), to be published next month, will state that increasing numbers of British people are suffering from the syndrome. While the total figure is not known, thousands are believed to be affected to some extent. The report, by the agency’s radiation protection division, is expected to say that GPs do not know how to treat sufferers and that more research is needed to find cures. It will give a full list of the symptoms, which can include dizziness, irregular heartbeat and loss of memory. Although most European countries do not recognise the condition, Britain will follow Sweden where electrosensitivity was recognised as a physical impairment in 2000. About 300,000 Swedish men and women are sufferers. The acknowledgement may fuel legal action by sufferers who claim mobile phone masts have made them ill. In January Sir William Stewart, chairman of the HPA and the government’s adviser on mobile phones, warned that a small proportion of the population could be harmed by exposure to electromagnetic fields, and called for careful examination of the problem. The HPA has now reviewed all scientific literature on electrosensitivity and concluded that it is a real syndrome. The condition had previously been dismissed as psychological. The findings should lead to better treatment for sufferers. In Sweden people who are allergic to electrical energy receive government support to reduce exposure in their homes and workplaces. Special cables are installed in sufferers’ homes while electric cookers are replaced with gas stoves. Walls, roofs, floors and windows can be covered with a thin aluminium foil to keep out the electromagnetic field — the area of energy that occurs round any electrically conductive item. British campaigners believe electrical devices in the home and the workplace, as well as mobile phones emitting microwave radiation, have created an environmental trigger for the syndrome. 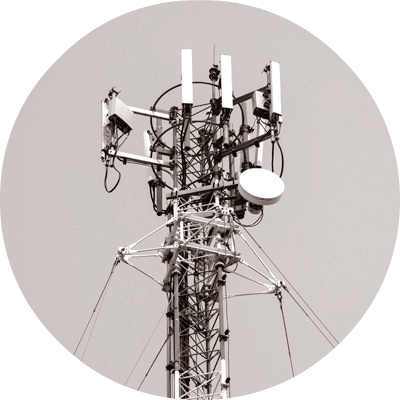 There is particular concern about exposure to emissions from mobile phone masts or base stations, often located near schools or hospitals. In January Stewart also called for a national review of planning rules for masts. The review was launched by the government in April. British sufferers report feeling they are being “zapped” by electromagnetic fields from appliances and go out of their way to avoid them. Some have moved to remote areas where electromagnetic pollution is lower.